I knead the dough by hand, but recently I have a neck pain and I can't always stand at the counter and knead the bread, so the bread machine is a life saver. This is my own and the quick way when you only need bread, Smells lovely! It's soft and fluffy and it keeps the shape nicely. The red bean paste filling is not as hard to make as you might think. This was better than any of the Chinese bakeries we had in London. One of my favorite afternoon habits, having a cup of tea together with my love. 1) Place the (A) ingredients, bread flour, cake flour, yeast, sugar and cold milk into the bread pan. close the lid gently. 2) Press the MENU button until desired program ''raw dough'' is selected. so that the machine does all the mixing and kneading. Once the process has been completed ''stir 1'', open the lid, add 2 tsp olive oil to the bread pan, and continue ''stir 2'' until beeps will signal. 4) Turn the dough out onto a floured surface, punch down the dough, and cut into 2 equal pieces. Cut each piece 25g, into 12 pieces total. 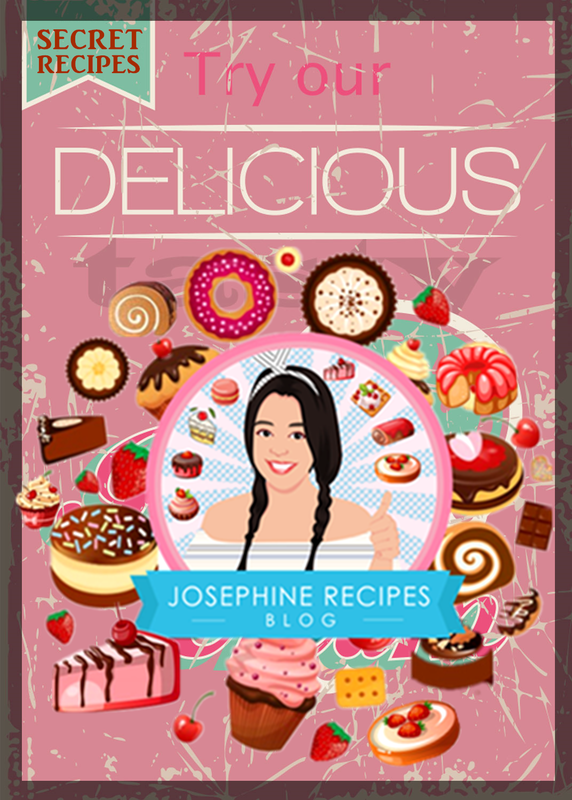 Scoop a tablespoon of filling onto the centre. 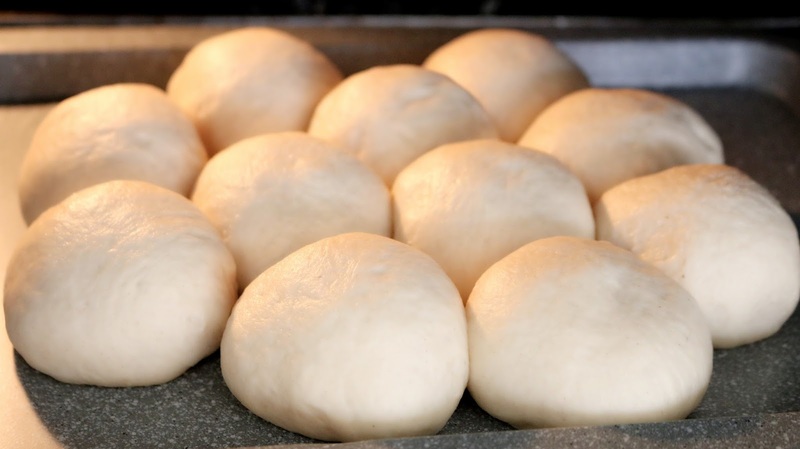 Pull and pinch the edges of the dough together. Repeat with the remaining dough and place on the baking tray. 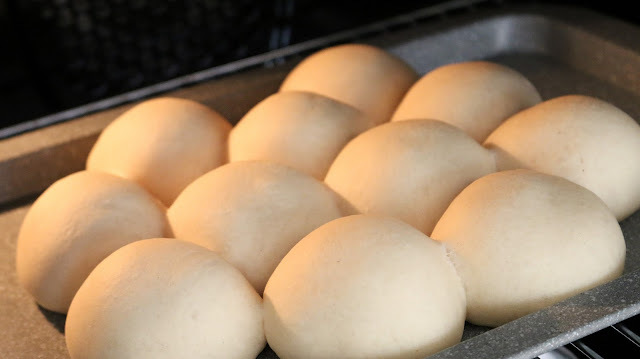 5) Rise in the oven with boiled water on the underneath for 30 minutes to 1 hour, until double or triple in sized. Bake in the preheated oven 150°c, until the buns are golden brown, about 25 minutes. (Baking time depends on the size and shape of the bread being baked). 6) Meanwhile, combine the golden syrup with boiling water. 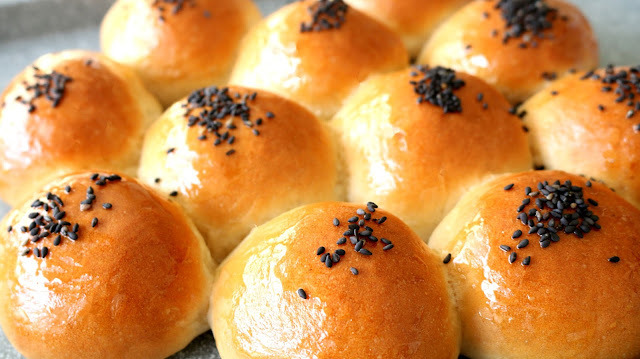 Once red bean paste buns have cooked, remove from the oven and immediately brush with glaze. Serve warm! 1) Yeast is best stored in the refrigerator, as the fungud in it will be killed at high temperatures. Before using yeast check the production date and storage life of your yeast. Refrigerate it as soon as possible after each use. The main cause of bread failling to rise is bad yeast. 2) You still can use the same recipe and knead by hand or stand mixer instead. 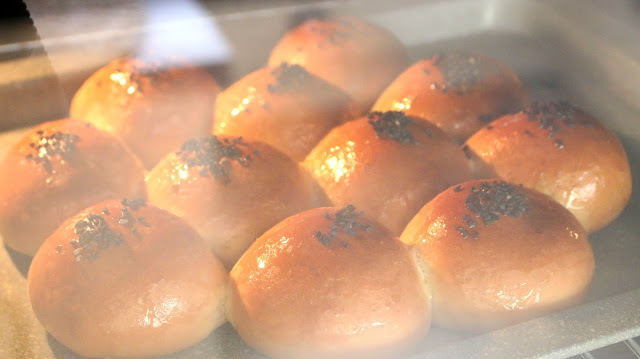 3) This buns will keep in an airtight container for 2 days at room temperature or up to 1 month in the freezer.